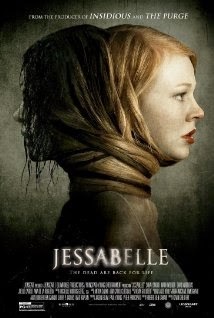 Jessabelle (formerly known as Ghosts) is an upcoming American horror thriller film directed by Kevin Greutert and written by Ben Garant. The film stars Sarah Snook, Mark Webber, Joelle Carter, David Andrews, Amber Stevens and Ana de la Reguera. The film is scheduled to be released on November 7, 2014.